You must know by now how the pocket door generally makes life easier. Of course it creates more space, is easy to use, adds visual appeal to the home or workplace and is a cost effective home improvement project too. But there are also subtle features of the Eclisse pocket door system that add great benefits, and make the pocket door a transformational purchase. The pocket door system is light and easy to handle, which helps with delivery and the simple installation process, but what other features make the Eclisse pocket door stand apart from the alternatives? Accessibility: compared to a traditional hinged door, the pocket door offers great accessibility. You don’t have to step back and then forwards when opening and walking through it, you simply slide it open. This has particular benefits for anybody in a wheelchair or having to use crutches. 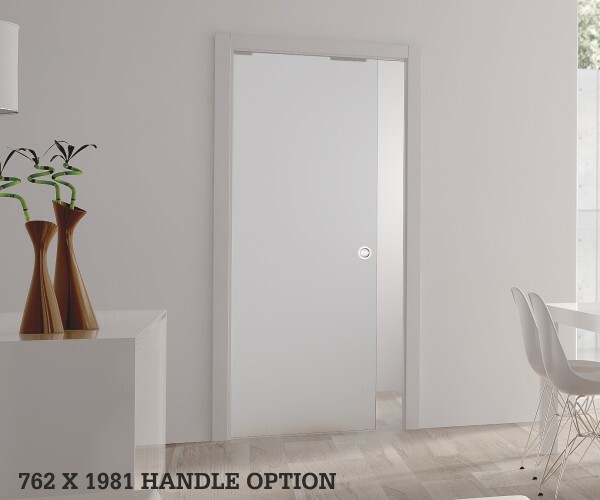 In addition, the pocket door system can be retro-fitted with soft-close and self-close accessories, to make accessibility quicker and easier. There is no door threshold needed either, thus removing a potential trip hazard. Reliability: the Eclisse pocket door system has been tested extensively and the repeated opening and closing allows for several years of consistent usage, without the need for any additional spare parts. Installation: this is quick and easy with no specialist tools required and plenty of instructional videos available to help. Contemporary design: the pocket door may appear to be an outdated Victorian concept, but it is enjoying a powerful renaissance. This is partly due to the chic and elegant designs now possible, with frameless systems creating a sleek, minimalist look and glass systems creating a bright and natural feel. Flexibility: You have the option of single or double doors, or you could even opt for a bespoke design to specifically suit your home or workplace. Free delivery: Delivery to mainland UK is free of charge, with any order received before 2pm available for next day delivery, although some conditions apply. Superior strength: the clever design of the Eclisse system means it is lightweight and easy to handle but extremely durable and strong. It uses an all-steel construction including the whole frame and re-enforced bars. Jambs: to ensure complete quality of installation, the Eclisse pocket doors system comes with jambs included, often referred to as the finishing joinery kit. These neatly close any gaps in the system to ensure a quality finish and superior action. Clever design features: the system includes a series of subtle but ingenious extra features, such as; self-centring door guide, maintenance-free track and runners, anti-warp profile, adjustable stops and a fully extractable track. Peace of mind: Finally, the Eclisse system comes with a 15 year guarantee, to ensure you can install and use the pocket door system with absolute certainty and reliability. There is also a Grade 4 corrosion-resistance guarantee, to further convince you that the Eclisse Pocket Door system is the best in the business.